According to a new report from app market data and insights company, App Annie, India is now the world’s fastest-growing market for mobile applications on both Android and iOS. 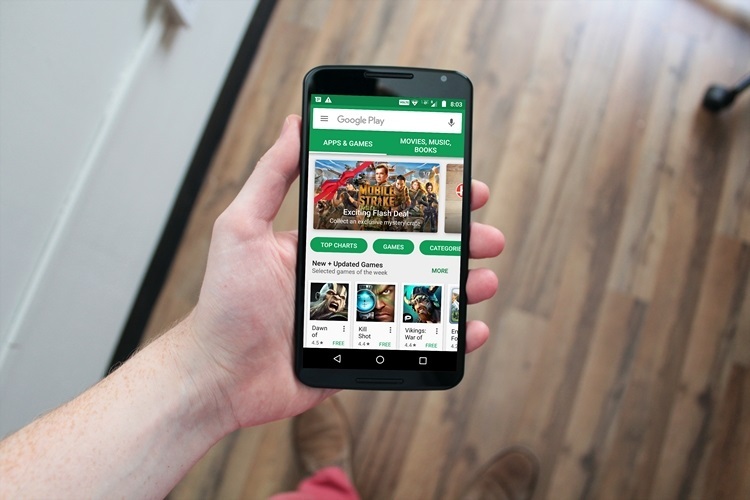 The country leads in app downloads across both platforms, with video streaming apps, such as Hotstar, JioTV and Airtel TV, etc. proving to a major hit. In terms of revenue, Netflix and Tinder continued to remain on top just like the preceding quarter. Some of the other popular apps in the country in terms of total downloads include UC Browser, SHAREit, Vigo Video (formerly Hypstar), WhatsApp, Facebook, Facebook Messenger etc. Gaming titles, however, are conspicuous by their absence from the top-ten list. App revenue from India are on the rise as well, although, the country still ranks lowly in terms of aggregate revenue, with all mobile apps believed to have generated a mere $47 million in total sales during the first three months of this year. The US continued to retain its number one spot with a total of $3.2 billion, with Japan coming in at number two, spending $2.7 million on mobile apps during the quarter. Overall, India’s app market grew 41 percent YoY during Q1, 2018, while Indonesia came in second with 24 percent growth. Albania ranked third worldwide, growing 23 percent during the period. According to an App Annie spokesperson quoted by ET, “India was the number one market globally by combined downloads on iOS and Google Play, ahead of the United States (2nd), and China (3rd, iOS only)”. The Chinese market figures are ‘iOS only’ because the country doesn’t have official access to the Google Play Store because of governmental restrictions. The Android market in the country is sliced up by various local tech firms, including Baidu, Tencent, Xiaomi and others. Meanwhile, the App Annie report suggests that Q1, 2018, was the strongest quarter the global app economy has ever seen, both in terms of revenues and downloads, with consumer spends increasing 25 percent YoY on the Play Store and 20 percent YoY on the App Store.